The staff and managers of AET have raised an impressive £750 for Bluebell Wood Children’s Hospice this year after deciding to donate to the hospice rather than share Christmas cards this year. Individual contributions, matched by the company, combined to produce this total for the hospice which cares for and supports children and young adults with a shortened life expectancy. It costs more than £4 million a year to provide this vital service and Bluebell Wood receives less than ten per cent from government sources, so without charity donations they would not be able to continue supporting families from across the region. The visit last week coincided with one of Sheffield Wednesday’s regular trips to the hospice who have proudly supported them for many years. 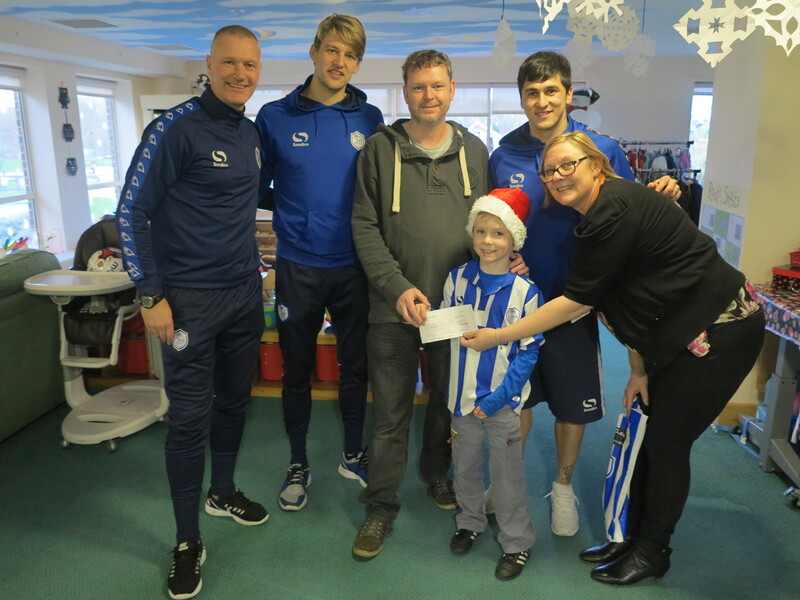 Richard and Evan Copeland are pictured here giving the cheque to Gail Smedley, Young Adult Co-ordinator, with Lee Bullen, Glenn Loovens and Fernando Forestieri of SWFC.